Former Chelsea midfielder, Frank Lampard, has played down speculation linking him to become Maurizio Sarri’s replacement at the club. The Blues suffered a humiliating 6-0 defeat to Manchester City on Sunday, which has led to uncertainty over Sarri’s future at Stamford Bridge. While Sarri remains in the dugout for now, Chelsea have a history of quick dismissals, having employed 11 different managers over the last 10 years. Lampard is now being touted as a potential replacement for the 60-year-old, after an impressive start to life as manager of Derby County in the Championship. 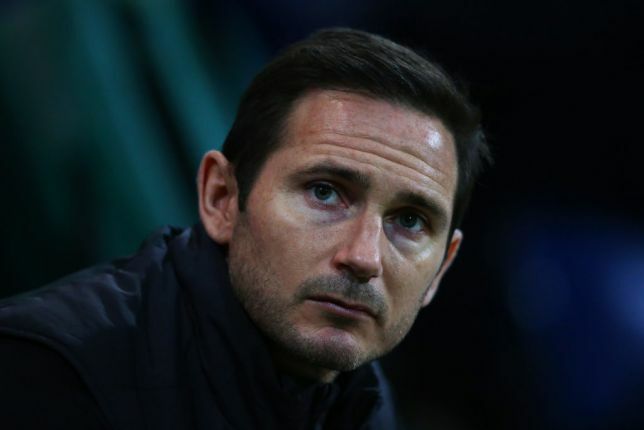 When asked if he was excited about being the bookmakers favourite to replace Sarri, Lampard told Sky Sports: “Bookmakers are not always right for starters. I will never get excited about that. “It is certainly a club I respect and a manager that I respect so it wouldn’t make me smile or anything different because my job is here.